Welcome to the monthly PTI blog hop! I have a CAS card to share with you today! I was inspired by the colors in the inspiration photo, shown below, although I chose to work with a brighter, more vivid green in New Leaf. I chose a black & white pattern for the chevron strips, inspired by the gingham in the photo. There was so much texture in the photo from the flower dish, to the white plate, to the flower in the center of the dish that I wanted to use a lot of texture on my card as well but still have balance. To do that I used the Simple Stripes Impression Plate. As you can see, the photo shows a beautiful spring flower, but for my card, I wanted to use another sign of life, the butterfly. I die cut two butterflies, one from cardstock that I stamped on and the other from vellum that I later impressed with the Vineyard Impression Plate. I then sewed them together and left the strings hanging off the top to mimic a butterfly's antennas. Hi!! Welcome to day two of a fabulous blog hop featuring products from The Twinery & Skipping Stones Design! You should have come from Karen Baker's blog! If you haven't been following the blog hop, you can start at the beginning by visiting The Twinery's blog for a full list of blog participants for both days! I created a Father's Day gift to share with you today. 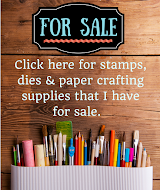 The Skipping Stones Design stamp set that I used is called Grunge 2 and it is a great set for masculine projects (although it has great uses for feminine projects as well). I used two colors of twine, Caribbean (my personal favorite) and Mandarin. Here is the clothespin from the set. It is one of those giant clothespins that I've had sitting around forever. You know what I mean, because you probably have one too waiting to have something done to it. :) I used black embossing powder to emboss the film strip on a white piece of cardstock. The stamp in the set is only 3 frames long but it was super easy to line up the stamp to create a longer strip. 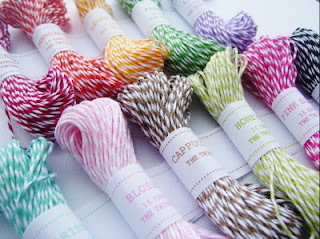 Now you know how much I LOVE my twine but sometimes to make a project "complete" it only takes a little bit. That is how it is for this project. The twine I used pulled everything together, even though it is just a little amount, and without it the project would have looked undone. This is the matching card. I created it basically the same way as the clothespin. Aren't the chevron zig zags cute? I love how easily they lined up to make the 2 different colors! I also stamped the chevron pattern on the hearts and used the same two twine colors from before to tie everything together. So...I know you are interested in a winning a prize, right? Well, like you've come to expect with The Twinery, there are prizes up for grabs! 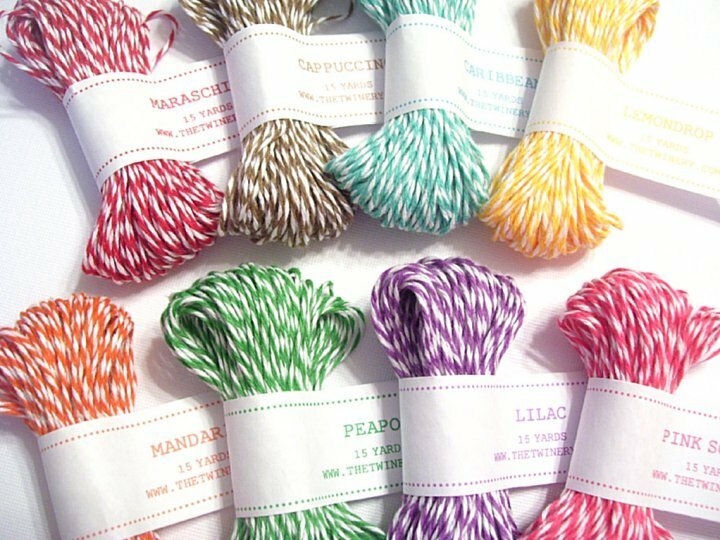 The Twinery is giving away a Colorful Bunch sampler pack! To be eligible to win, leave a comment on each blog on the hop! The deadline for leaving comments is 11:59 pm EDT, Friday May 25th. The winner will be announced on The Twinery Blog Sunday, May 27th. Skipping Stones Design is giving away two stamps sets as well! You can find all the detail on their blog. Your next stop on the hop is to Stephanie Mino's blog! I am sure she has something fantastic to share with you! Thank you so much for stopping by today! Have a great one! Hello!! Welcome to a product showcase week where design team members for both The Twinery & Bella Blvd will be sharing projects featuring products from both companies! We will be sharing projects all week long, so be sure to visit The Twinery's blog each day to find out whose blog to visit! There are prizes up for grabs too (I'll share more about that later)! I was so excited to receive the products from Bella Blvd to work with! 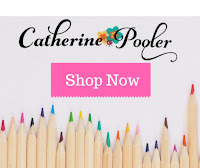 Their products are amazing and I had such a wonderful time coming up with projects using them! So hold on, I have several things to share today! First up is this card that I made for Teacher Appreciation week. I used three different papers from the Bella Blvd Sunshine Happiness collection. Even the name of the paper makes me smile! I LOVED the patterns included in this paper set. I made three different sizes of accordion flowers and then used a button in the center tied with Lilac, Lemondrop & Pink Sorbet twine. I love how well the twine coordinates with the papers! Perfect match! Next up I used the gorgeous papers and matching accessories to make a couple gift favor baskets. This is the more feminine version of the gift basket. Can you see the double sided pattern on the inside of the basket? This is so fun! It is decorated inside & out easily. In the little glassine bags are some candies for a party favor. The bag is topped with a coordinating sticker and then tied with Pink Sorbet twine. Here is a closeup of the front of the bag. The heart is a coordinating chipboard shape that is layered on top of a patterned paper strip that I cut. I seriously think that blue polka dotted paper was made just for me! I LOVE it! On top of the heart is the cutest bow that has been die cut from another pattern (it matches the inside of the bag) from the set. I wrapped Lilac twine around the center as an accent. One more little detail...isn't that little flag adorable? Yep! Another coordinating embellishment. This bag is slightly more masculine, although my husband didn't think any "boy" would want a "purse", LOL! So maybe it isn't as "boyish" as I thought. Here is the closeup of the front, decorated similarly to the version above. I tied the center of this bow with Mandarin twine. I have one more project to share with you today. You know how much I LOVE buttons! Well, Bella Blvd has those too! Swoon! To package up the ring, I put it in a small organza bag and tied it with Pink Sorbet twine. The flower sticker is attached to the back of a button for a little added embellishment. Quick & easy gift packaging but it still looks great! So...are you curious about the prizes? 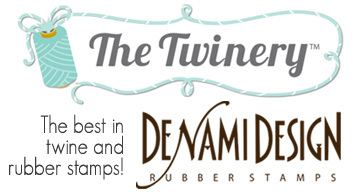 The Twinery is giving away an "Original Sampler" twine pack to three winners! 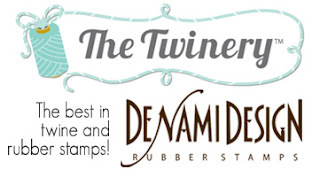 To be eligible to win, comments must be left on each of the participating Twinery's designer blogs all five days of the showcase (there are 3 blogs per day, Monday - Friday, including The Twinery's blog). 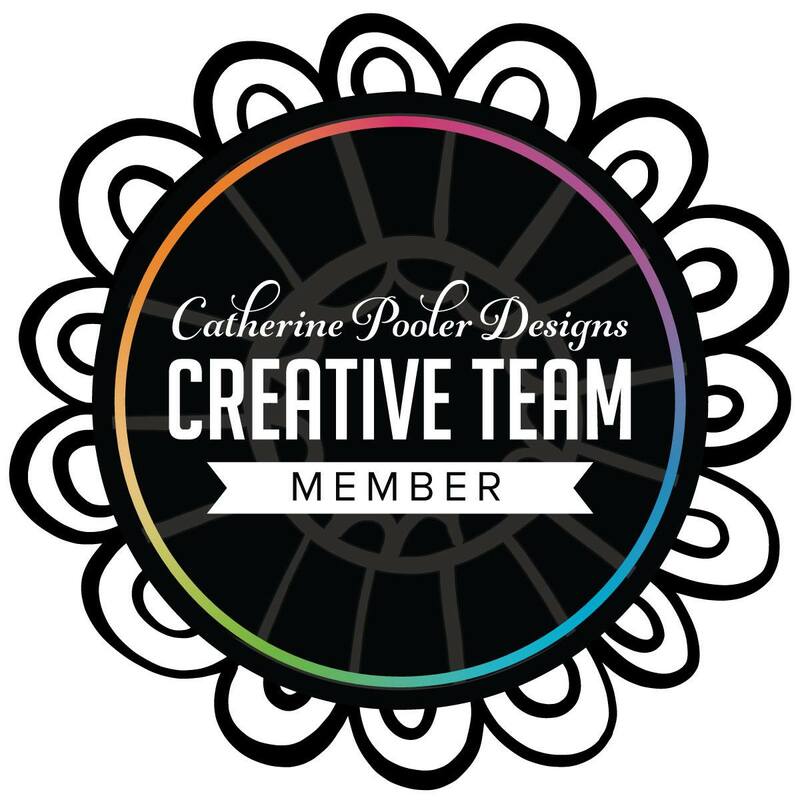 You can find a list of participating designers each day on The Twinery's blog. Deadline to visit and leave comments to win is 11:59 EST, Sunday, May 20th. Winners will be announced on Tuesday, May 22nd on The Twinery's blog. Bella Blvd is also having a giveaway and you can visit the Bella blog for all the details! Thank you so much for visiting! I can't wait to hear what you think of all these super fun products! Welcome to a fabulous blog hop featuring products from The Twinery & Denami Design! If you are following along in the hop (and I hope you are because there are some great prizes up for grabs!) you should have come from Lisa Petrella's sweet blog! I have a gift idea to share with you today. Something like this would be perfect for a secret sister gift or a prayer sister gift or just a thinking/praying for you pick-me-up type of gift. The sets I used from Denami are Spring Flowers Set (Cling) & the Praying for You sentiment. To make the bag I took a piece of muslin and cut a long strip and then folded it in half. I used my die inks to stamp the flowers on the bottom of the bag. After I had each side stamped, I folded over each top part of the bag and sewed a seam leaving enough room to thread my twine through the gap. I then stamped the top of each side of the bag with the leaf image. After I finished stamping, I threaded my Pink Sorbet & Caribbean twine through the top and then attached buttons to the end so that it wouldn't be easily pulled back through the gap. Curious what is inside the bag? A spool of twine of course! I also thought it would be a super cute way to cover a mason jar filled with flowers too! The ideas are endless! And, really, I am not a great seamstress and putting this bag together was effortless...REALLY! Now you may be wondering what that thing sticking up through the twine is. You can see it a little better in the next photo. It is a wood skewer that I cut down to size and then added a small spool of twine on for decoration. It doesn't really serve any purpose other than for a little extra decoration. I just wrapped some Washi tape around it to dress it up a little. This is the card that accompanies the gift. It uses the Praying for You sentiment that I just adore! Isn't that font beautiful! I kept this card super, super simple and decorated it in a similar style as the bag. It measures 2.5" x 5" so it is a miniature. As always, there are prizes up for grabs and this one is a fantastic! To be eligible for the prizes, simply comment on each participating blog on the hop. The deadline to leave comments is 11:59pm, EDT, Saturday, May 12th. Winners will be announced on The Twinery Blog on Sunday, May 13th. To continue on in the hop, you now get to visit the fabulous blog by Michele Gross! Thank you SO MUCH for visiting today! I hope you enjoyed my gift idea! Have a fabulous day! Hello again!! 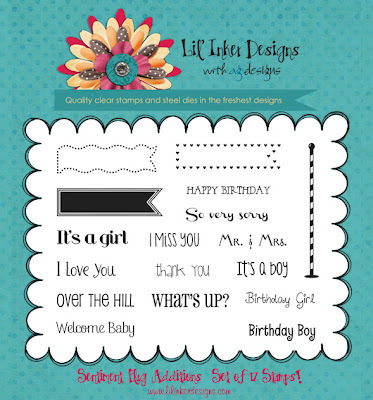 What have you thought of this week's Lil' Inker Design's releases? They are pretty fab aren't they? Word has it that this release is a hit as sets are flying off the shelves! YEA!! If you are following along with the blog you should have arrived from Debby's blog! 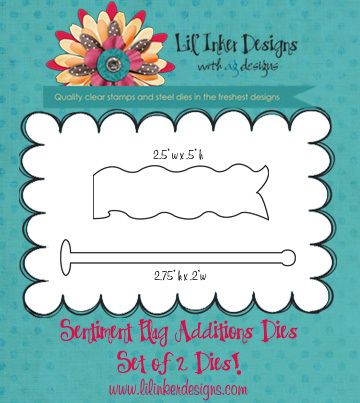 So today the entire design team is back with an addition set, requested by many Lil' Inker Designs customers, to the Sentiment Flag set. This one, appropriately titled, is called Sentiment Flag Additions and is available for purchase along with all the products released this week in the Lil' Inker Designs store now! This new set can be purchased as a set, which includes the newly released stamp set & dies or each part can be purchased individually as well. The first card I have up to show you today uses one of the new dies that also coordinates with flag images from the original set as well as the new set. I first used the new Texture Plate Collection: Frame 1 on white cardstock and then cut out 3 of the flags from that same piece of cardstock. I placed 3 pieces of patterned paper under the cut outs. As you can see, I popped the white panel up with dimensionals and then tied twine from The Twinery through the die cut flags and around the edge of the cardstock. The sentiment that I used for this card was one that was already printed onto the patterned paper! Next up is a masculine birthday card. See that flag pole? Yep! New die there too! Yippee!! In this sample you can see the same wavy flag that I used on the first card, only this time I used the actual die cut. I love the new dotted wavy stamp outline too! The "ribbon" at the top is a piece of muslin that I cut which seemed much more manly than a piece of ribbon! Here are the actual sets! They are packed with fun new sentiments and ways to make your original set go even further than before! Be sure to comment on each blog post this week to be eligible for some great prizes! This month's prizes will be a $10 store credit and a Sentiment Flags Additions set. To continue on with the blog hop, visit Emily's blog next (P.S. I just saw her project and it is adorable! She is so creative!)! Thank you so much for stopping by today! Hello!! Welcome back to another day of Lil' Inker Designs New Releases!! All of these new products are now available in the Lil' Inker store! 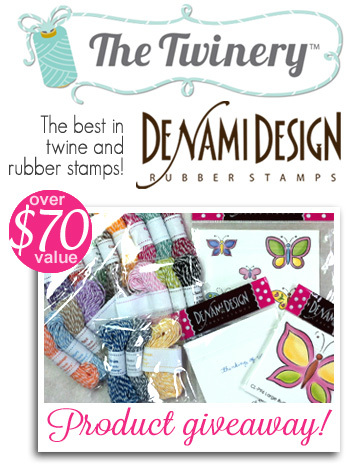 If you are following along with the blog hop you should have come from Debby's blog! To see all of those participating today, you can start at Laura's blog. 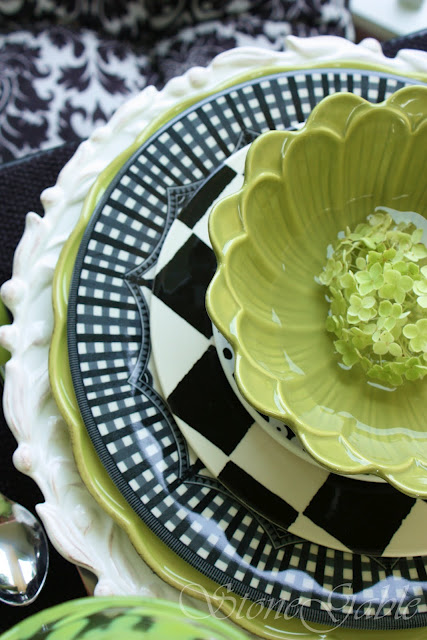 Today we are featuring another fabulous product unlike anything I've seen on the market yet! Let me introduce Texture Plate Collection: Frame 1! It is a 2-sided textured plate that has a different frame on each side! Fun!! This card features the woodgrain side of the texture plate. Isn't that such a cool concept? I went with a masculine Father's Day theme for this one. I used the bow as a mustache again and then made a bow tie under it with the new Bow Die: Small. That fabulous sentiment is from the Flags & Tags Set. Here is a closeup of the frame. I inked my Texture Plate up with Versamark ink and then impressed it with my Big Shot machine. I love how the ink defines the woodgrain so well and gives it even more depth. Can you just imagine all the ways you could use this frame? Ready to see side two? The second side of the frame features a very clean and simple frame, making it SO versatile! Aren't the little dots around the edge so fun!? I used the Bow Die: Large on this card. I can see giving a card like this to my husband when he is traveling. I really like that the bows and texture plates can be used for both feminine and masculine projects! The sentiment is from another new set that will be previewed on Friday called Sentiment Flag Additions. This picture shows a closeup of the frame details. 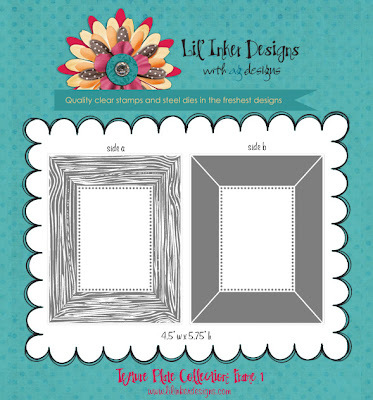 Lil' Inker Designs is also selling the embossing pad kit that works perfectly with this frame for the special price of $5 (regularly $6.99) for a limited time (through 5/21) with the purchase of the new texture plate when you use code EPKIT5 at checkout while supplies last. Now why don't you head on over to the Lil' Inker Designs store & the Lil' Inker Designs blog to see all the fabulous items for this release! Thank you so much for stopping by today! Hello!! 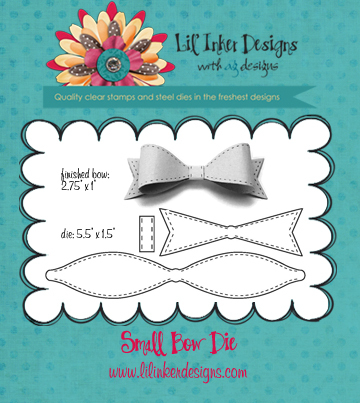 I am so happy to be here with another new release from Lil' Inker Designs! This is going to be a fun, knock-your-socks-off release! For today & tomorrow the design team will be showcasing two fabulous new bow dies that are hot, hot, hot! 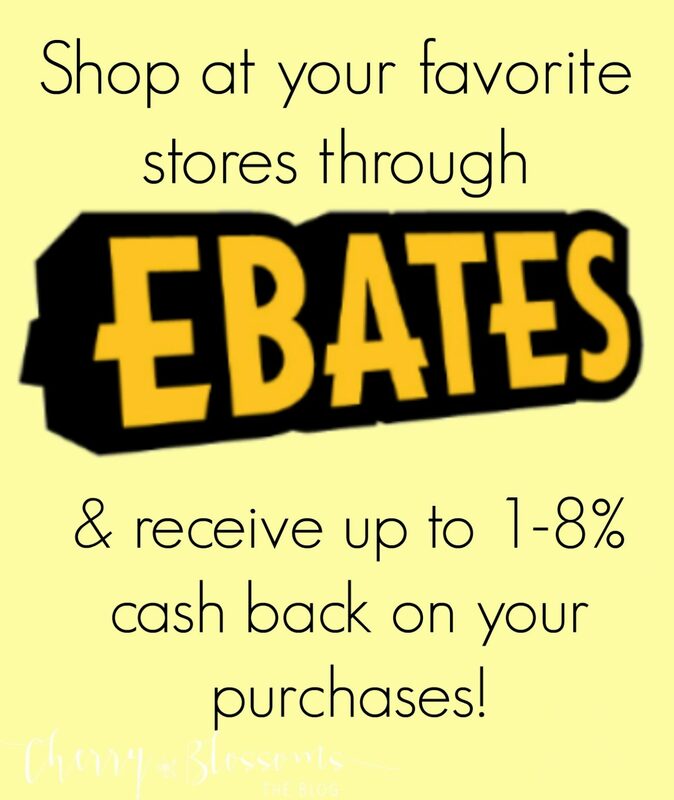 You are going to love them and want them for your collection! I have lots of projects to share with you today so hang with me! Isn't the bow adorable? Can you just imagine all of the ways you could dress up your projects using these dies? Speaking of dressing up...how about using those bows to embellish your child's clothing? I used the large bow on my daughter's dress. I die cut it with fabric and added a button in the center. I also made her matching shoes which turned out super cute as well! I used the smallest bow for the shoes. I die cut the fabric again and used fabric glue to hold the bow together. Then, I used an embellishment I found at my local craft store for the center of the bow. I sewed the bow on with a needle & thread. So fast. So easy. So cute. Now to take a totally different direction with these bows that I just love! When I was die cutting my bows I thought that they looked amazingly like mustaches that are so trendy right now, so I put them on a stick to use as photo props! Aren't they so stinkin' cute? Here is the "male" version that my son is proudly modeling. And here is the "feminine" version that my daughter is showing off. When I told her what I was going to do with these, she insisted that her mustached be PINK! I think it looks pretty cute in pink! LOL! I'll share more on the mustache idea later on this week! Want to see what the dies look like? Here you go! Cute, huh? Isn't this product so fun and unique!? I LOVE it!! I have so many ideas running around in my head for ways to use these!! And, they are available in the store RIGHT NOW! I have a feeling that these are going to fly off the shelves!! Of course we have several more new products that you are going to love later on in the week too! 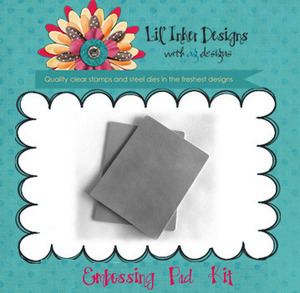 I'll be back with Lil' Inker Designs posts on Wednesday & Friday too! And as always, there is a giveaway! Be sure to leave comments on all the designer blogs for your chance to win a $10 gift certificate for the Lil' Inker Designs store and product from this month's release! Your next stop on the hop is to Jen's blog! I can't wait to see what she has to share! Thanks for joining me today!! I hope to see you back on Wednesday!